The study by Antonella Ambrosio (Università degli studi di Napoli Federico II) “Literacy in Neapolitan Women’s Convents: An Example of Female Handwriting in a Late Fifteenth-Century Accounts Ledger” appeared in: Nuns’ Literacies in Medieval Europe. 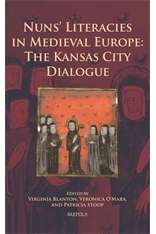 The Kansas City Dialogue, edited by Virginia Blanton, Veronica O’Mara, Patricia Stoop, Turnhout, Brepols, 2015 (Medieval Women: Texts and Contexts, 27), pp. 98-108. Maria Rosaria Falcone (Università degli studi di Napoli Federico II) published an article on Il portale Monasterium.Net. Documenti in rete e archivi digitali, in: Atti del convegno Manuscript digitization and on line accessibility. 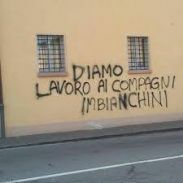 What’s going on? International Workshop, Roma, Biblioteca Vallicelliana, 23 ottobre 2014, a cura di Elisabetta Caldelli, Marilena Maniaci, Stefano Zamponi, in: Digitalia. Rivista del digitale nei beni culturali, 2 (2014), 67-77. The Department of Humanities of the University of Naples Federico II will hold an open-day for the public and give an overview of the numerous international research projects located in the Dipartimento. In this important occasion Antonella Ambrosio will have the opportunity to present the achievements of the ENArC – European network on Archival Cooperation – Project and give a short preview of the new EU-funded project co:op (community as opportunity. the creative archives’ and users’ network), EU, Creative Europe 2014-2020. Antonella Ambrosio, Maria Rosaria Falcone, Francesco Lerra and Vera Schwarz-Ricci (Università degli Studi di Napoli Federico II) attended the 15th ICARUS Meeting in Prague and the connected international conference “Archival Cooperation and Community building in the Digital Age”. This was the final conference of the EU-funded ENArC-project and presented its achievements. Throughout the past few years, ENArC has advanced the network of archives and other cultural institutions that safeguard written European cultural heritage and made this heritage freely accessible via the internet as Europe’s Memory. During the session “Building from scratch: written heritage online“, Maria Rosaria Falcone and Francesco Lerra presented the results of the UNINA ENArC-team in a paper on Digital Archives and the Italian experience: new prospects for improved accessibility?. Moreover, the team UNINA organized the conference session “Learning the past to build the future: education in the Digital Age“. The panel was moderated by Antonella Ambrosio. As representatives of the ICARUS Didactics Group, Antonella Ambrosio and Vera Schwarz-Ricci held also a paper on The University teaching with MOM-CA and Monasterium.NET in the ENArC-project within this session, giving an overview of the achievements of the Icarus Didactics Group and of the UNINA teaching experiences with Monasterium. Have a look at the Meeting’s programme, the photos and at the presentations on slideshare. The students of this year’s Palaeography course had the unique occasion of a first hand experience of the daily life of a medieval copyist. Thanks to the practical lesson on writing Caroline script held by calligraphist Anna Schettin (Associazione Calligrafica Italiana) and thanks to the palaeographical approach of Antonella Ambrosio, the participants understood the delineation of the Caroline of the evangeliary of Gundis, a Sankt Gallen Codex of the beginning of the 10th century, and practised writing it with a reed pen. 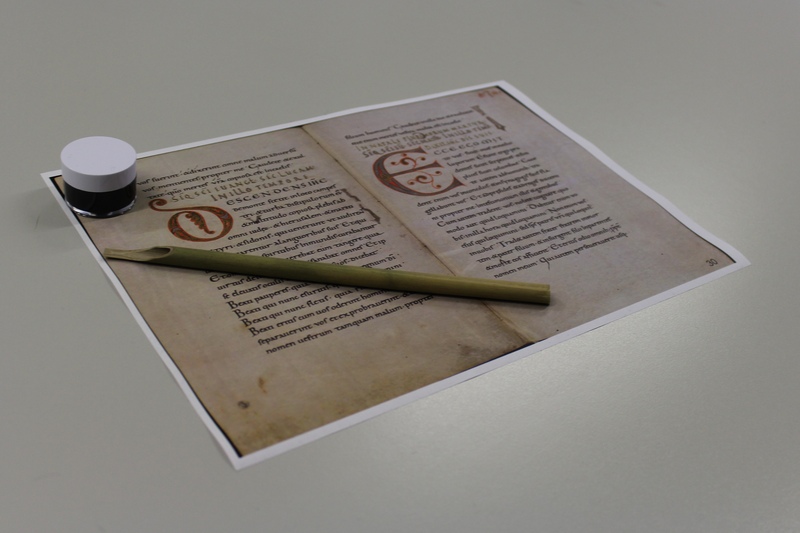 This was part of our path to palaeography with digital means and the work with the MOM-CA image tool. The digital edition of the documents of S. Maria della Grotta (1200-1250) in Monasterium.Net reached the next stage with the second encounter of the team: Antonella Ambrosio (Università degli studi di Napoli Federico II), Claudia Cuminale (Istituto Superiore di Scienze Religiose “S. Pietro” di Caserta), Maria Rosaria Falcone (Università degli studi di Napoli Federico II), Francesco Lerra (Università degli studi di Napoli Federico II), Paola Massa (Università degli studi di Roma La Sapienza), Vera Schwarz-Ricci (Università degli studi di Napoli Federico II), Maria Elisabetta Vendemia and Georg Vogeler (Karl-Franzens-Universität Graz). Angelo Odore (MA) received a research scholarship in Digitization and historical sources in South Italy: digital archives and the repercussion on historical research and Martina Magliacano (MA) another one in Digital Archives and historical sources: the digital archives of the Neapolitan Franciscan convents. Scientific coordinator: Prof. Antonella Ambrosio. The students of the Academic Course in Palaeography visited Castel dell’Ovo (Naples) as an original setting of medieval manuscripts production, with the aim to contextualise the work with the charters in Monasterium.Net. 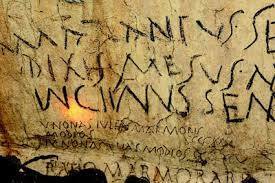 This year’s Palaeography course for the Master Degree students in Organization and Administration of the Cultural and Environmental Heritage and Master Degree students in History will provide an overview on the evolution of Latin Script and show it as a tangible part of our cultural heritage waiting to be disovered, understood, protected and valued. Moreover the lectures will trace a path from traditional to new digital methodologies by using the digital archives available on the international platform Monasterium.Net and by actively engaging the students by employing Monasterium’s tool MOM-Ca. The course is organized in the context of ENArC – European Network on Archival Cooperation (EU Culture Programme 2007-2013) and of co:op – Community as Opportunity. The creative Archives’ and Users’ network (Creative Europe. Support Programme for Europe’s Cultural and Creative Sectors from 2014). Within the project ENArC (EU Culture Programme 2007-2013) and the project L’edizione digitale e cartacea dei documenti dell’Italia Meridionale in Monasterium.Net, sponsored by the Università degli studi di Napoli Federico II (Fonds Contribution for International Agreements, A.F. 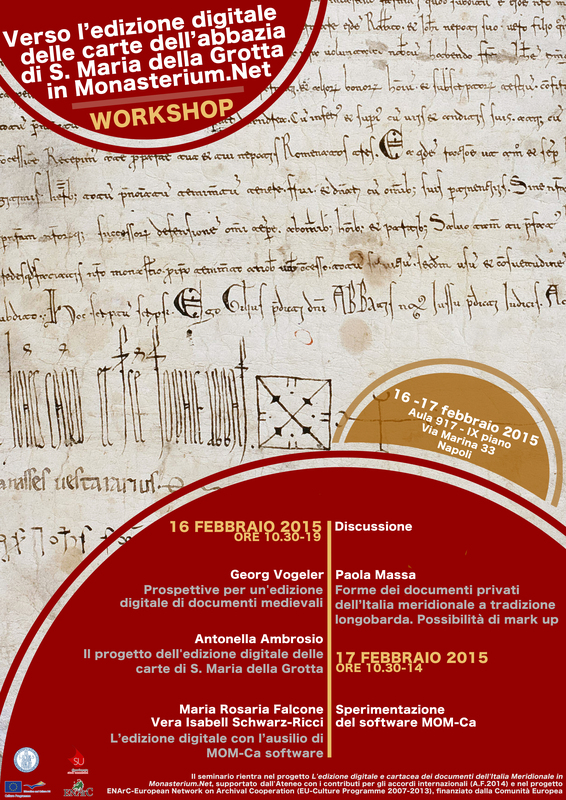 2014), the research group on the documental patrimony of S. Maria della Grotta started the digital edition in Monasterium.Net of the abbey’s 13th century documents. The aim is to test for the first time in Europe Monasterium’s software MOM-Ca for the creation of a digital edition. The kick-off workshop will take place at the Dipartimento di Studi Umanistici in Naples and the participants will be Antonella Ambrosio (Università degli studi di Napoli Federico II), Claudia Cuminale (Istituto Superiore di Scienze Religiose “S. Pietro” di Caserta), Maria Rosaria Falcone (Università degli studi di Napoli Federico II), Francesco Lerra (Università degli studi di Napoli Federico II), Paola Massa (Università degli studi di Roma La Sapienza), Vera Schwarz-Ricci (Università degli studi di Napoli Federico II), Maria Elisabetta Vendemia and Georg Vogeler (Karl-Franzens-Universität Graz). Have a look at the programme here! More on the edition project here. 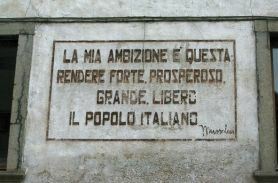 Antonella Ambrosio (University of Naples Federico II) will held a seminar titled “Il portale Monasterium.Net, il software MOMCA, gli archivi digitali. Nuove metodiche e prospettive per la ricerca” for the PhD candidates in Documentation studies, linguistics and literature of the University of Rome La Sapienza. Have a look at the Web site of the PhD course! Maria Rosaria Falcone (Università degli studi di Napoli Federico II) delivered an article on Il portale Monasterium.Net. Documenti in rete e archivi digitali, to be published in: Digitalia. Rivista del digitale nei beni culturali, 2 (2014), ISSN: 1972-621X (in print).